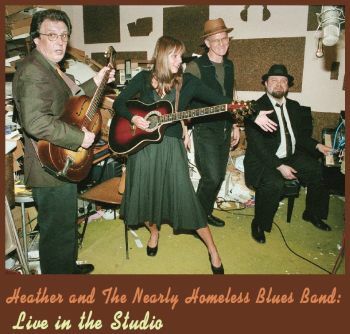 Club vibes website says of Heather, "a soulful, rock-steady performer"
Heather Banker has been playing guitar and singing from up and down the East Coast (including New York City) to Italy and Japan, averaging nearly 200 shows a year. 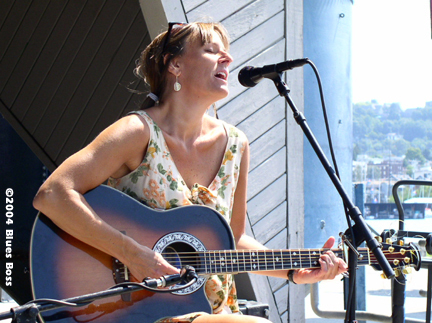 She has led jazz and blues groups as well as playing solo blues and folk on acoustic guitar. She currently is playing in the Greater Seattle area. She plays vintage women's blues with The Nearly Homeless Blues Band ( featuring Washington Blues Society Hall of Famer Jack Cook) and The Heather Banker Jazz Combo as well as playing as a single. She's played with Little Bill and the Bluenotes, Alice Stuart, Roger Fisher of 'Heart', Joe Doria, Andy Coe, Two Scoops Moore, and Joel Tepp (Danny O'Keefe) and her music has been aired on KBCS and SCAN TV, and has been featured in Seattle Blues papers 'Blues To Do' and The Washington Blues Society's 'Blues Letter'. CD release party will be announced after the holidays.